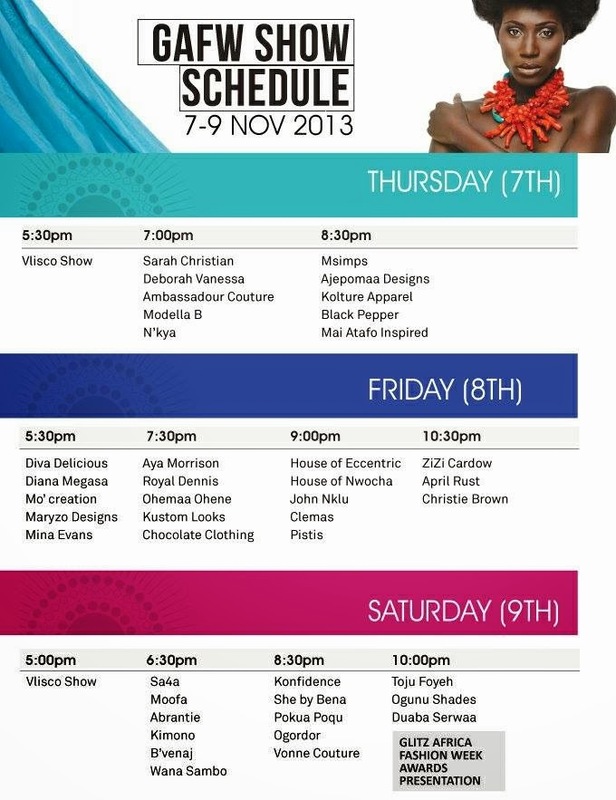 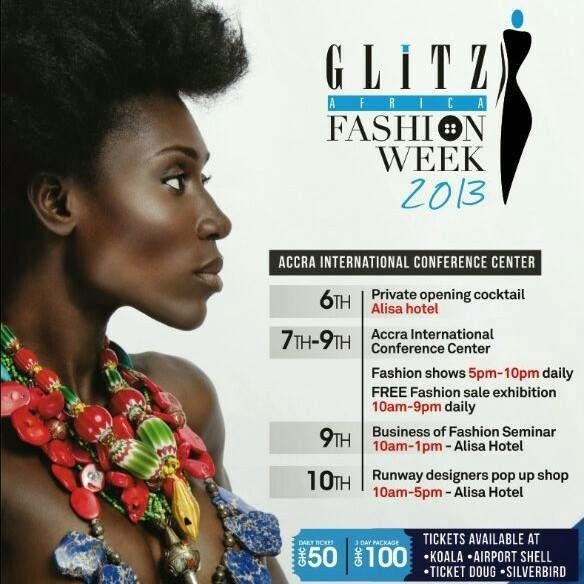 Arguably the best fashion week in Ghana, Glitz Africa Fashion Week is set to take place from November 6th to 10th. With over 40 local and international fashion designers and models, this year's fashion week promises to be nothing short of amazing. Side attractions of GAFW include "Style Lounge", an enclosed room that is plushly decorated and fitted with accessories and personelle. 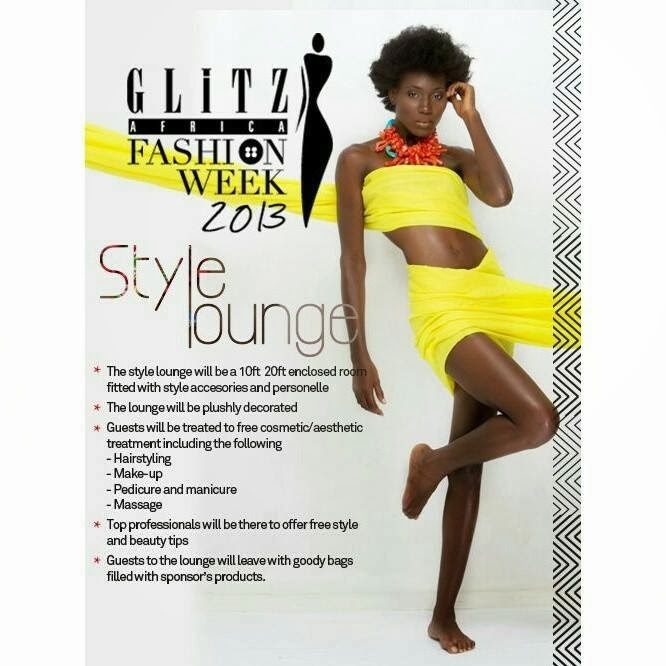 The Lounge will offer guests free cosmetic and aesthetic services including hairstyling, Make-Up, manicure, pedicure and massage. 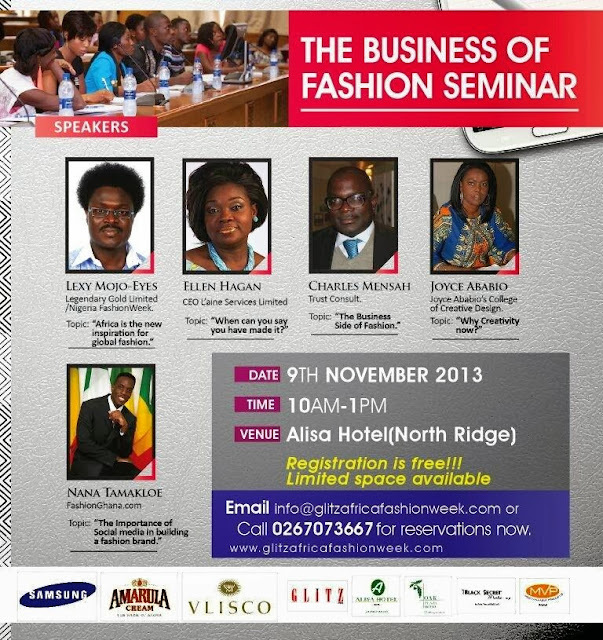 There will be free beauty and style tips from professionals and walk away with goody bags with products from sponsors.